Billing insurance companies for reimbursement is a pain to deal with. When you bring secondary and tertiary claims into the mix it can become a nightmare. Applied Medical Systems is here to help you and your practice by providing not only primary billing services, but secondary and tertiary as well to make sure you get fully reimbursed for your medical services. What insurance to bill next? When a primary claim is filed and the patient’s primary insurance does not cover the full cost of the medical service, your next step may be to bill the patient’s secondary and then tertiary insurance. As a physician, you know that billing out to these secondary and tertiary providers can be confusing when determining who to bill next. Primary Claims- Your primary insurance company is usually the insurance of the parent who is working in the family. However, if both are working then the primary insurance is each parent’s own employer insurance. If the parent has Medicare and their employer has under 100 employees, primary insurance may be Medicare. For children or dependents the primary insurance is sometimes billed to the parent whose birthday falls first in the year. However, if the parents are divorced a court order may determine the order of insurance billed. Once the primary provider pays their portion of the claim, then it is billed to the secondary insurance if the patient has it. Secondary Claims- Secondary claims can be submitted electronically or on paper. However, Medicare requires electronic submission for secondary claims. If a secondary claim is submitted on paper the claim is printed onto a cms form and a copy of the explanation of benefits (eob) is attached. Tertiary Claims- Tertiary claims are submitted if the patient has a third insurance provider and if there is a balance left. This claim is sent to a third carrier and it is printed off on a cms form with both eobs from the primary and secondary carrier. As you can see this process is a headache to go through day in and day out for only small claims’ reimbursements, however the neglecting of these secondary and tertiary claims can add up over time. This can mean thousands of dollars of revenue lost from your practice. Electronic submission has made this process significantly easier and more efficient. Applied Medical Systems not only has trained professionals to take care of secondary and tertiary claims, we also have the latest electronic claims submission technology to make the process more streamlined and accurate. 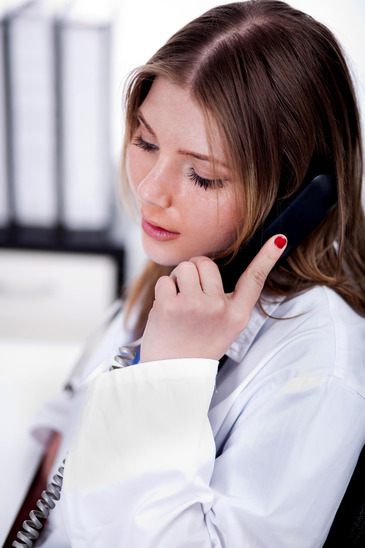 For more information or to learn more about our medical billing services, contact us at our Durham, NC office.